It seems just yesterday when we were getting ready for our Spring Piedmont Plus Senior Games. The coordinator for our Piedmont Plus Senior Games thought it would be a good idea to have a mini Fall Senior Games. He brought the idea to the Senior Games Steering Committee and we all agreed that it would be a good idea. We chose the week of October 15th and included the following events: Shuffleboard, Bocce, Corn Hole Toss, Archery, Billards, Table Tennis, Badminton and of course Pickleball! According to Chuck Vestal, Piedmont Plus Senior Games Coordinator, “The week may have started out a little soggy with the rain on Monday forcing Shuffleboard and Archery back, but we finished strong. We had 80 individual entries for the Games. 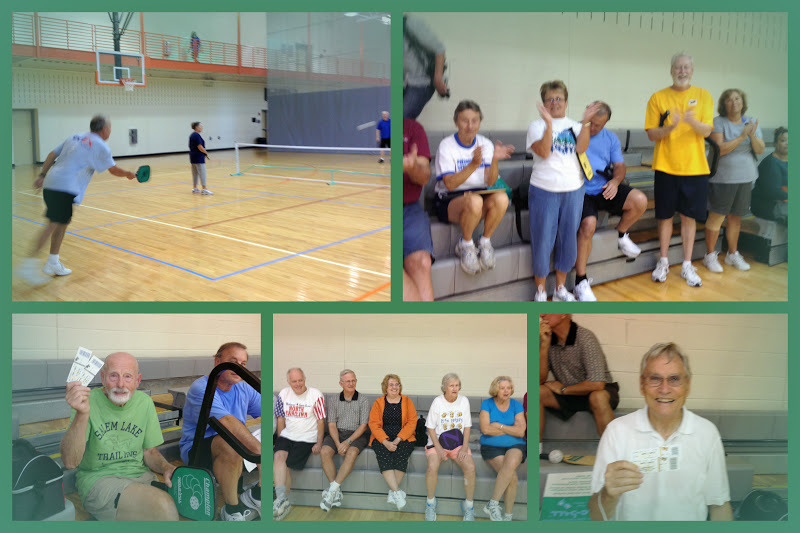 The best attended event was Pickleball! The Winston-Salem Journal was on site to take photos which were posted on the next day in an article about the popularity of retiring to the Triad. Twenty-eight people came out for a good time with a mixed doubles competition. The Fall Senior Games served it’s purpose in that it brought out both new and familiar faces to fellowship and have fun participating in different games. It also got some energy behind a few of the events such as table tennis, badminton and archery”. Since this was just for fun and bragging rights, there were no medals presented to the winners. However, we did have a few drawings and some of the participants received tickets to Wake Forest basketball or football games and bowling passes to Creekside Bowling Alley.